Samsung Gear S3 is a product that takes after the heart of artisan watchmakers and their highly detailed craft while expanding further with the latest in digital technology. It is a watch that is cutting edge, yet traditional all the same. A device that was refined with the user in mind to not only feel right on the wrist, but also to add convenience to one’s daily life. To create such a smartwatch experience, Samsung put a great deal of effort into making the Gear S3 as close to a real watch as possible, down to the tiniest details. 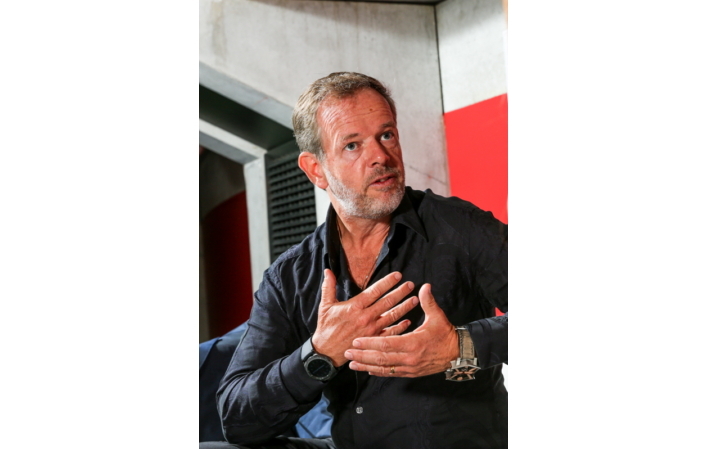 The company sought the advice of some of the world’s greatest watchmakers, including Yvan Arpa, one of the most audacious and avant–garde watch creators of today. In doing so, the company was able to gather valuable insight into their skills and the age-old craft of assembling a classic timepiece. With Arpa’s help, Samsung was able to create a device that marries traditional professionalism and digital innovation. 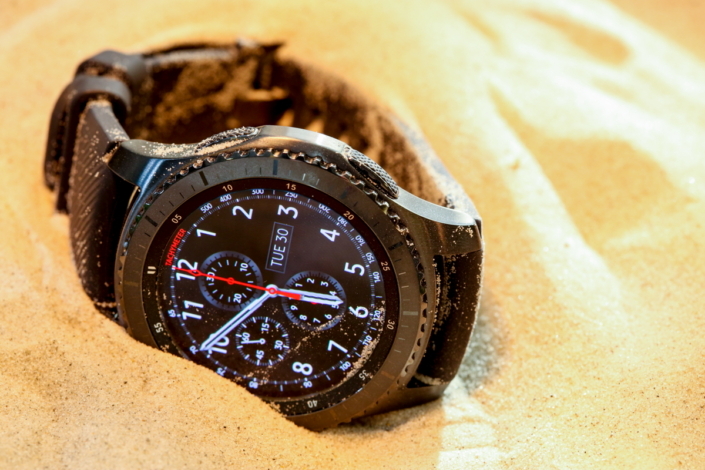 This rings true for both versions of the new smartwatch: the Gear S3 frontier, a rugged wearable that can withstand nature’s elements, and the Gear S3 classic, a luxurious digital timepiece. The Gear S3 frontier was developed to fit into any environment, be it the wilderness or the boardroom. Its large bezel, hefty body and accentuated buttons convey both refinement and sturdiness. Small elevations around the face, and the screen’s slope and depression, for example, protect it from exterior shock. Samsung also took care to ensure that each function of the new version could be easily accessed. Specially designed bezel knurlings and buttons make it easy to use, even when wearing ski gloves. Furthermore, in place of time markers, numerals were used to create a sportier aesthetic. To resist the dust, mud and perspiration that often come along with outdoor activities, Samsung designers adopted a soft, lightweight strap that provides durability but also comfort. The Gear S3 classic boasts a more luxurious aesthetic, raising the bar in terms of detail and quality. 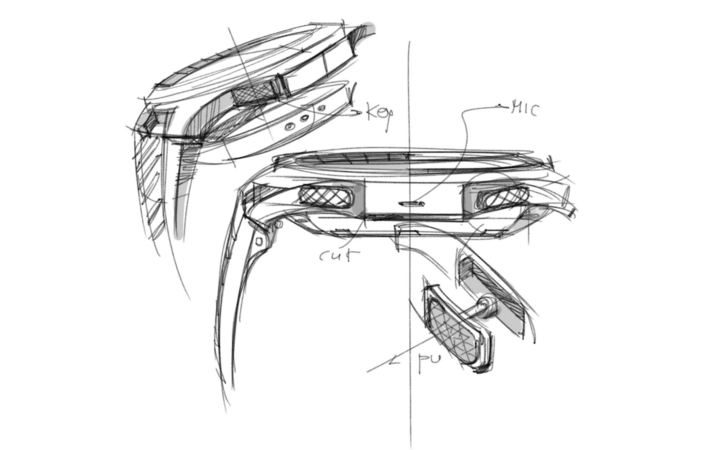 Taking a no-frills approach, Samsung designers paid great attention to the smallest of details, from the laser-marking techniques for the indices, to the watch crown to the minimalistic design of the in-body strap. Many renditions, and numerous shapes and sizes were considered to achieve the perfect balance and proportion of a well-crafted watch. Samsung hid the stitches and selected more natural colors—olive green and navy blue—to make the device more gender neutral. Finally, the leather was tempered to look sophisticated yet reliable; the material is one that makes a statement without being ostentatious. 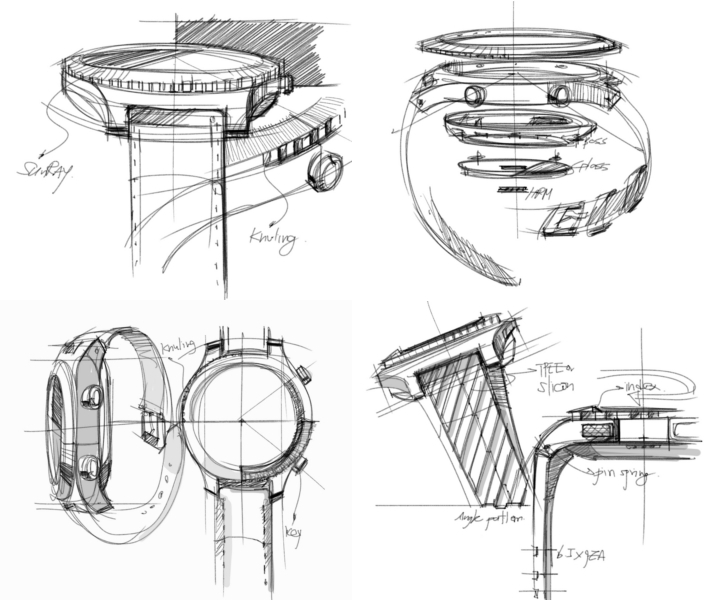 Refinement was a key concept for the designs of both versions of the Gear S3. Most prominent in its enhancements are the physical dimensions of the device itself—ones that were crafted to ensure that the product actually looked like a real watch. After completing a survey of a wide range of users to whittle down the ideal proportions of a wristwatch, Samsung incorporated a larger watch face to better fit the wrists and preferences of users. The Gear S3’s bezel interface was inspired by outdoor and dive watches. Adding a tactical experience to what is primarily a digital function, the new bezel has 24 steps that cover the spectrum of the Gear S3’s functions. The rounded sharp edges of the case, the sunray brush finish on the bezel and the intricacies of the watch’s crown further demonstrate Samsung’s commitment to quality. To better accommodate the circular face of the smartwatch, the interface was totally redesigned for the Gear S3. Added to this was the revision of the app sync engine to provide a more seamless integration of applications to the device. The material of the device, a component that Arpa believes greatly contributes to the overall tactile experience, was also carefully considered. “In this specific case, I’m very proud to say we used 316L stainless steel, which is the same material used for the finest luxury watches in Switzerland,” he stated. New materials, along with simple modification molding and tempering finishes, result in a design that is not only classic, but also reliable. The circular UX, which was well received by the masses when it was first introduced with the Gear S2, has undoubtedly become the distinguishing identity of the Gear series, redefining the user experience. The new Gear S3 builds upon this foundation and takes advantage of its circular display and rotating bezel to provide advanced usability. Content on the Gear S3 scrolls around the periphery of the circular display while transitions between screens are smoother and more natural than before. Also, the nearly microscopic details of an analog timepiece have been recreated and applied to the Gear S3’s watch face, along with added digital functions that offer unsurpassed convenience. Depth has been added to improve aesthetics, while widgets on both sides of the face connect seamlessly with the watch face itself. 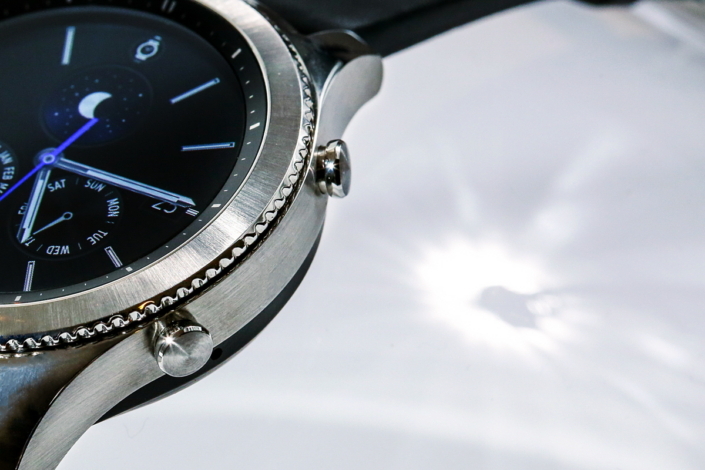 A wide variety of watch face options also enables ultimate personalization. That’s why the device’s Always On Display has been improved upon. With a low energy setting, the smartwatch can now be on at all times, with more vibrancy and detail. Thanks to this new added function, a vast array of Always On Display designs are available so users can make their device truly their own. The new Gear S3 is a device with a design that speaks to the user, and a watch that looks and fits as it’s supposed to. It’s a timepiece that merges the perfected craftsmanship of the past with Samsung’s meaningful innovation for a future of possibilities.